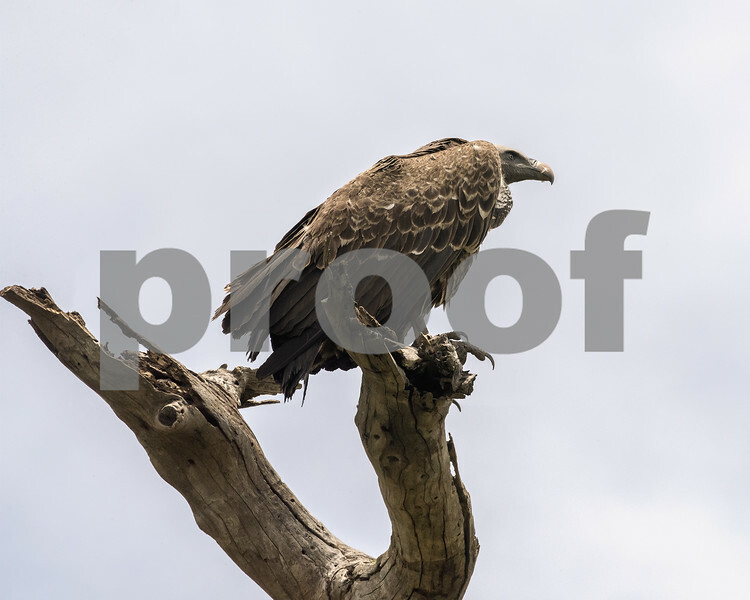 Ruppell's vulture (Gyps rueppelli) perched in a dead tree, Lake Ndutu, Serengeti, Tanzania (best larger to see the details). Well, I would say this type of Vulture is a little nicer looking in the face, than the ones we typically see in Texas. Great shot. Great shot...like all vultures, it has beautiful feathers! Fine detail, in difficult light ! !